Since 1992, the Research Center for the Americas (formerly the Chicano Latino Research Center from 1992-2018) has helped make UC Santa Cruz a vibrant hub for Latin American, Chicanx/Latinx, and migration studies. Primarily drawing from and bringing together the social sciences, humanities, and arts, our work explores the incredible diversity of the Americas, with a focus on research questions related to citizenship, class, economics, education, environment, everyday cultures, genders, human rights, identities, immigration, indigeneity, labor, language, nation, place, policy, politics, race, representation, sexualities, social movements, the state, and statelessness. A forum for investigation and exchange, the RCA brings together over 90 faculty at UC Santa Cruz. We sponsor Research Clusters on topics proposed by UC Santa Cruz faculty and students, offer Individual Faculty Research Awards and Graduate Student Mini-grants, and co-administer the Lionel Cantú Memorial Award with the Latin American and Latino Studies and Sociology Departments. With our support, RCA affiliates have produced numerous publications, including single-authored books, edited volumes, research reports, working papers, and scholarly think pieces. Since its founding by faculty in Latin American and Latino Studies, the RCA's scope has been hemispheric. We put Chicano/Latino and Latin American studies in dialogue with border and migration studies on a global scale and show how those fields can and should inform each other. Over 2016-17, we led Non-citizenship, UC Santa Cruz's Andrew W. Mellon Foundation John E. Sawyer Seminar on the Comparative Study of Culture. We have also collaborated with Mexican institutions and individual scholars across the Americas and are a member of Consejo Latinoamericano de Ciencias Sociales (Latin American Council of Social Sciences). The RCA is committed to bridging the university and community. We support research on the city and region in which we make our home and we host free, public conferences, symposia, workshops, public lectures, and film screenings both on and off campus. Presentations at some of the public events we have organized can be viewed here. Over 2018-19, we are co-leading a yearlong journalism community project titled Escuchar, Compartir, Comunidad (Listen, Share, Community) in partnership with KZSC radio and the Digital NEST (Nurturing Entrepreneurial Skills with Technology) in Watsonville, California with funding from the Community Foundation of Santa Cruz County and UC Santa Cruz’s Chancellor’s Graduate Student Internship Program. The RCA teaches UC Santa Cruz undergraduates how to think critically and helps prepare them for graduate and professional school by providing them with mentorship and hands-on research experience via our Undergraduate Research Apprenticeship Program. Over 2015-16, our Undergraduate Researchers helped establish Nuestras Historias: The CLRC/RCA Archives, a trove of information about the CLRC/RCA's past and the vital role we play at UC Santa Cruz. 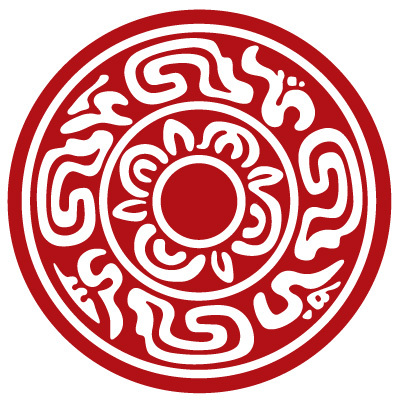 The first generation of students and faculty affiliated with the Chicano Latino Research Center (CLRC), now known as the Research Center for the Americas, created the circular red logo. They drew inspiration from Mixteco symbolism highlighting the pre-columbian presence of the original peoples in the Americas, while being inclusive to all people that have chosen the Americas as home. The original design consisted of feet going around repeated circles. In the current version, the feet became more abstract, but kept the impression of mobility and resemblance to indigenous, arabic, and contemporary designs. We are housed in Casa Latina at Merrill College. Click here for a map.